I've been thinking for a while now...about going full time with my blog and baking. But somehow something else always gets in the way. This time, I have told myself, that I will pursue my passion and turn it into something! It's not easy, I know that. It is rather scary, if I'm completely honest. But I know that with your support, it will make things slightly easier for me. What if it doesn't work out? Where do I start? What do I do? How do I get from here to there? What if no one likes my goodies? It is definitely very different, doing it as a hobby when people order my goodies versus doing it for real; full time. The time, effort, and cost are multiplied. 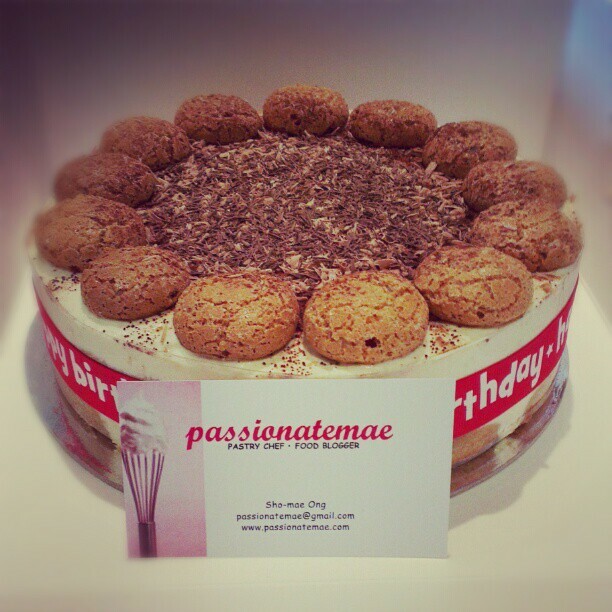 You can support me and my journey by sharing Passionatemae to your friends and family. Thank you again for all your support all these years. Passionatemae wouldn't still be here if it wasn't for all of you! More updates to come as we go along! Want to follow me on my journey, don't forget to like me on Instagram and Facebook!